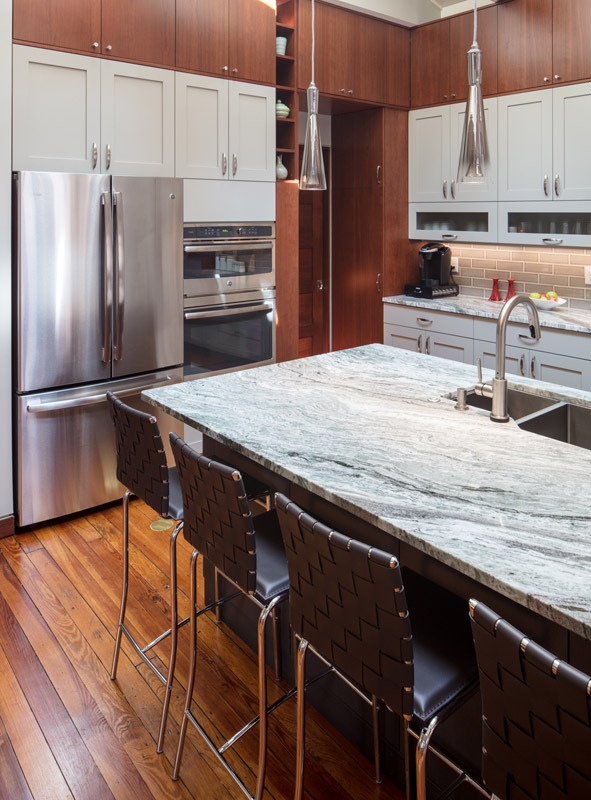 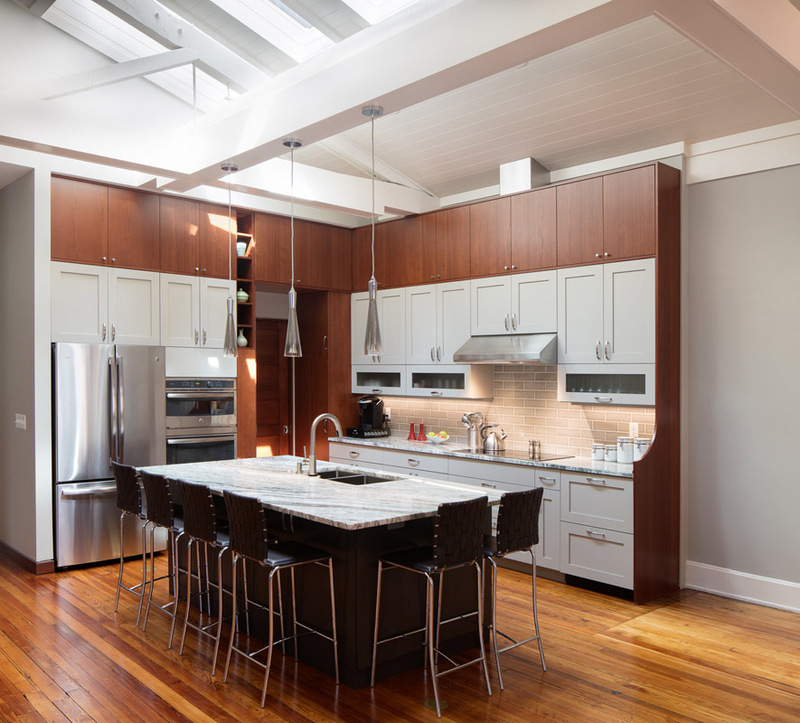 Our customer came up with this sleek look to a modern kitchen. 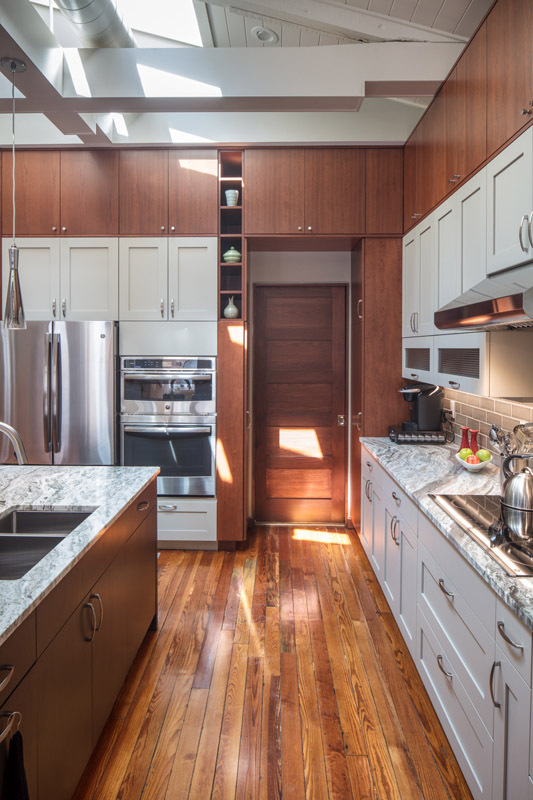 They brought 3 different Styles and Colors together to make this kitchen very unique.All cabinets are Amish Custom Made.Top cabinets are a Cherry stained frameless slab door. 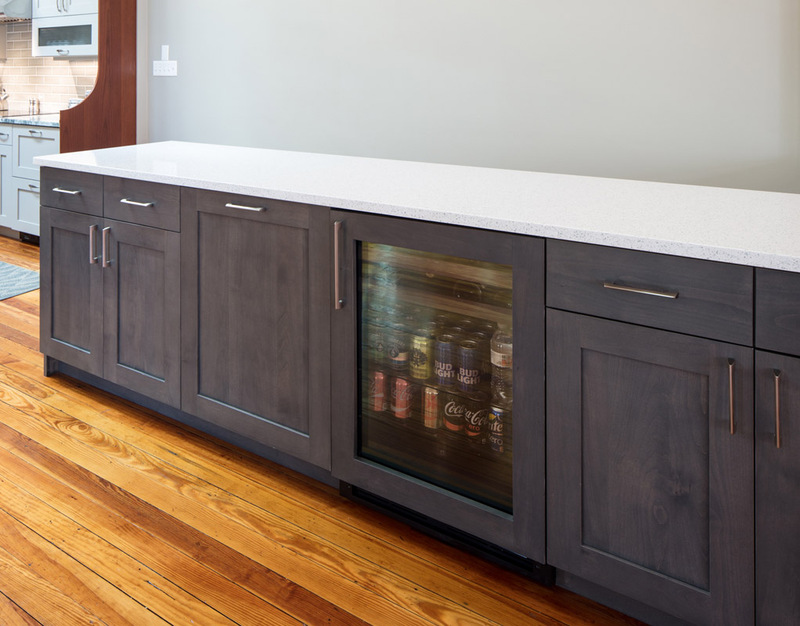 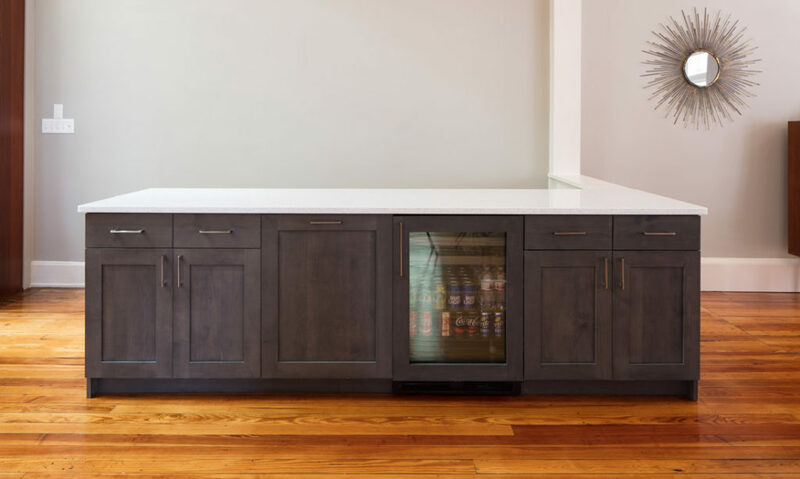 Middle and bottom are Maple cabinets with a Shaker style frameless door painted in Anew Gray, with a 3″ rail. 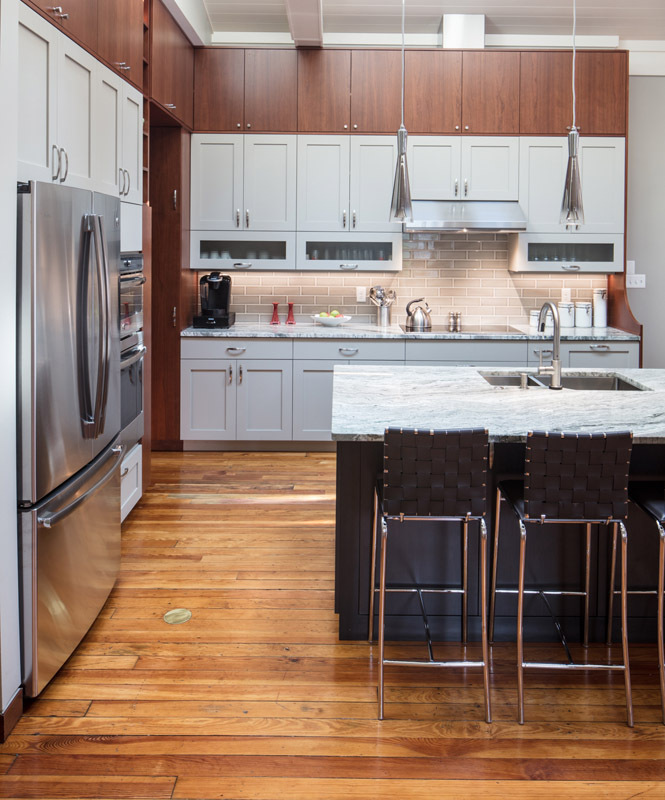 Our customer came up with this sleek look to a modern kitchen. 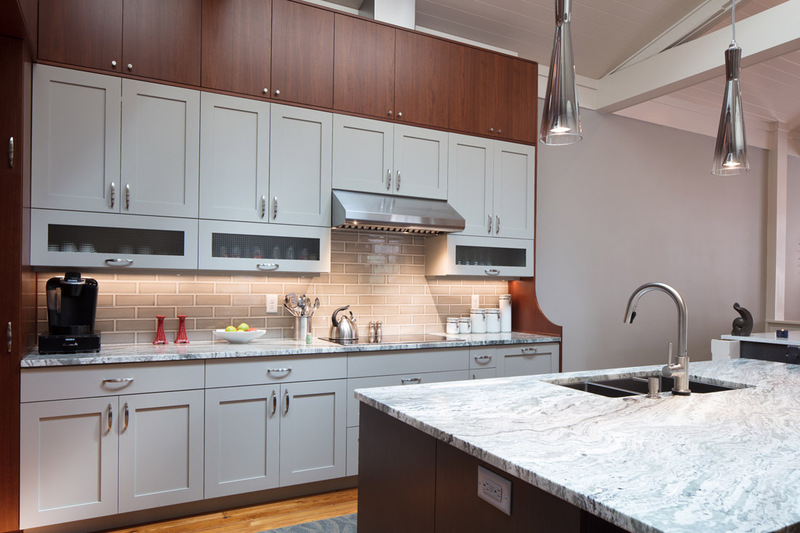 They brought 3 different Styles and Colors together to make this kitchen very unique. 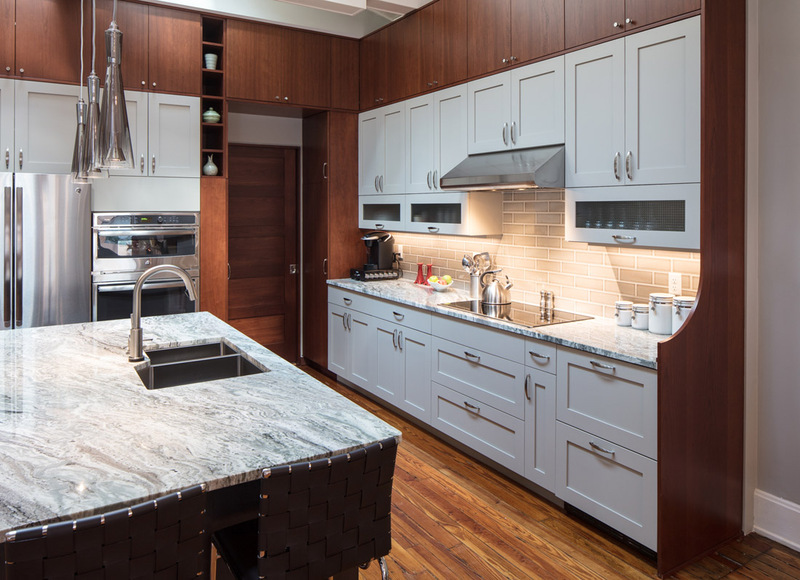 All cabinet are Amish Custom Made. 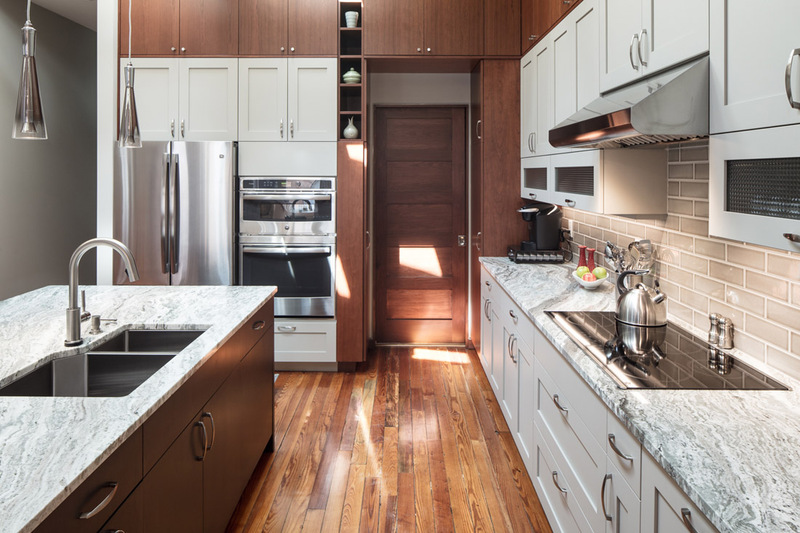 Top cabinets are a Cherry stained frameless slab door. 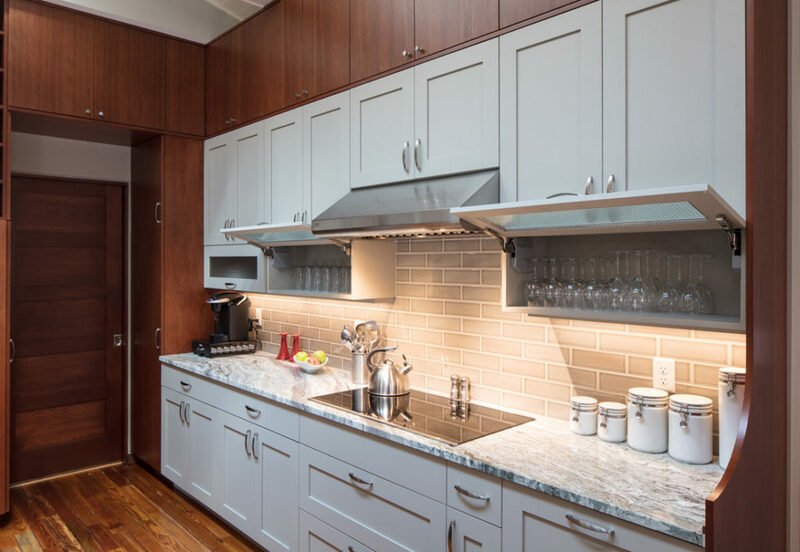 Middle and bottom are Maple cabinets with a Shaker style frameless door painted in Anew Gray, with a 3" rail.